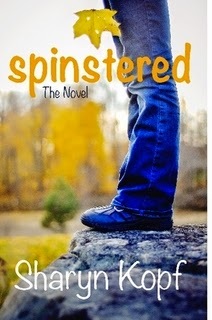 Congratulations to clash winner Sharyn Kopf and her book Spinstered: The Novel. A touching debut, Spinstered began as a nonfiction book idea and, through God's design, became a novel that will speak to many women. For those in the Cleveland area, Sharyn will be selling and signing her novel at the Cuyahoga Valley Christian Academy Craft Fair in Cuyahoga Falls on Saturday, November 15, from 9 a.m. to 4 p.m. and she'd love to meet you there! Early reviewer Anne Lemon says this about Spinstered:"Spinstered is a poignant and realistic portrait of extended singleness. It offers comfort and hope to readers who have never married and are brokenhearted about it. It's also just a plain good read that single women will see themselves in, laugh, and maybe cry, too. ... In Kopf's novel, just like in real life, the gut-punches of our alone-ness don't always get resolved in a marital happy ending. But she offers the promise that we all can have the prize that Catie ultimately finds. For this message of hope, single readers will be grateful." Three friends. Three stories. Three women trying to figure out how they ended up over 40 and still single. Committed to her job and pushing fifty, Catie Delaney has almost given up on her dream of love and marriage. Maybe, she tells herself, she’d be happier just embracing her singleness. Maybe that's been God’s will all along. Catie's friends, Jolene and Uli, have their own struggles with men, careers, and family. Then into this mix of feminine angst walks Brian Kemper—the latest GWP (Guy With Potential) to join their church’s singles group. But just as something seems about to happen between him and Catie, her world falls apart. With their hearts on the line, these three friends search for hope ... and find it in unexpected places. Pull up a chair now and join us for a look inside the creation of this book, and a glimpse of its author's heart. Let’s start at the beginning—how long have you wanted to be a writer and what did you envision for your writing life? I knew I wanted to be a writer when I wrote my first poem at the age of 5. And, for the longest time, that dream meant being a romance novelist. In my 20s, I saw myself becoming the clean, Christian version of Kathleen Turner’s character in Romancing the Stone—enjoying a life of adventure and romance and lots of bestsellers. Well, things didn’t turn out the way I imagined. (Do they ever?) On October 15, I turned 51 and, though I suppose I’ve had a few mild adventures, I still dream of true love and being such a popular novelist that even people in the jungles of Columbia have heard of me. Then, in my 40s, I realized I needed to write about my single heart and broken dreams. When I started working on Spinstered, it was a nonfiction book about grieving singleness. I took the seven stages of grief—denial, disbelief, bargaining, guilt, anger, depression and hope—and applied them to what I was dealing with as a 40-something single woman. A few years later, while at the Blue Ridge Mountains Christian Writers Conference, a friend encouraged me to focus on my fiction writing. As a result, Spinstered the Novel was born. What are some of your strengths as a writer? Years ago, I had the privilege to work for the in-house radio marketing department at Focus on the Family. I learned I not only love writing scripts and dialog but I’m pretty good at it. I even won a few awards while I was there. I’m also passionately committed to making my manuscript as good as I can. Though that can also be a detriment because I’m a bit OCD about it, which means I have a hard time letting something I wrote go until it’s perfect. And it’s never perfect. Continuing that thought, what are your weaknesses as a writer? Well, to be honest, I don’t write as much as I should. I think it’s a mixture of fear and laziness. Fear that what I write won’t be any good. And the laziness that comes from letting other things distract me from what I know needs to be done. Like spending too much time on Facebook. Why did you decide to self-publish Spinstered? That’s a long, sad story but suffice it to say I went through a disappointing contract experience that did not end with a published book. In the meantime, numerous interactions with singles fed the urgency I felt to get this book to the audience I know is out there. My choice was to start over with submitting to agents or editors—a process that can take years—or self-publish. Since the novel had already gone through several rounds of edits, I knew I could have it ready within a week or two. In fact, I was able to make my goal of taking copies to the Labor Day Singles Retreat at Ridgecrest Conference Center near Asheville, NC. I sold several copies there and made some great connections. It also led to my first 5-star review! First, I plan to finish and self-publish the nonfiction version—Spinstered: Surviving Singleness After 40—in the next few months. In addition, I wrote an unrelated novella titled Cold Read that I hope to have available soon. Finally, I have two sequels to Spinstered the Novel in the works. Book two will be titled Inconceived and I’ll probably name book 3 Altared. Of course, all of that could change. I’m open to whatever God wants to do! Spinstered is Sharyn Kopf’s first novel. Over the years, her work has included co-authoring a book about traumatic brain injury, penning scripts for stage, and writing for newspaper as well as Focus on the Family radio. Every Friday, Sharyn ponders the over-40 single life at www.girlsnightin40.com, the blog she shares with two other authors. For her day job(s), she works as a literary publicist for Route 1 Manuscripts and teaches high school English at a small Christian school. She lives in Bellefontaine, Ohio, just five minutes from her favorite people in the world—her family. 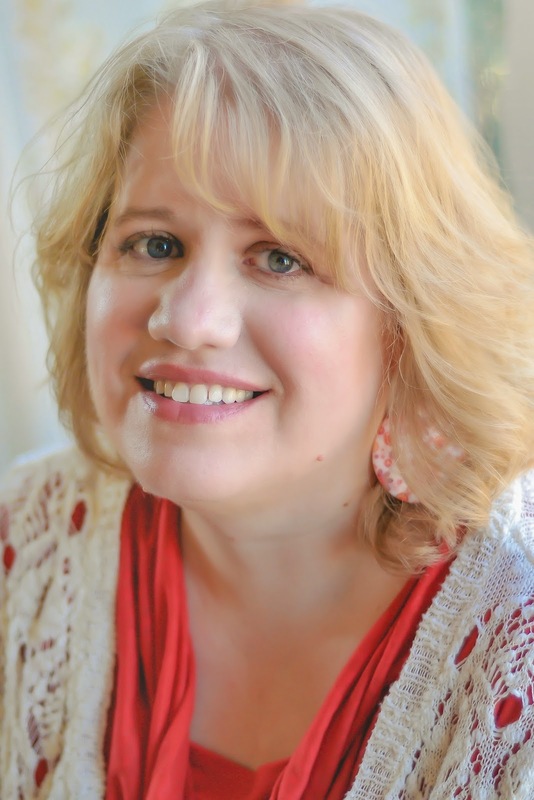 You can connect with Sharyn through her blog or on Facebook. Ane, I consider it a true honor to be in your company in this competition. And I can't wait to read your novel! It looks delightful. Congratulations, Sharyn! This was a tough clash this month! Thanks, Michelle. It certainly was!